Have you ever had an airline meal that has been so good that you can’t stop thinking about it? I should know better, but I often gamble by ordering “the beef.” Usually it comes out well-done and isn’t much better than a Denny’s steak on the ground–even in First Class. Are you listening Lufthansa? But once in a while, you order something that so far exceeds your expectations that you are almost awe-struck. How often does food taste better at 40,000 feet in the air than at a fine restaurant? Airline meals are a very big deal to me and this steak was on par with Ruth’s Chris (minus the sizzling). Bravo Swiss. Look for more airline meals in future weeks. 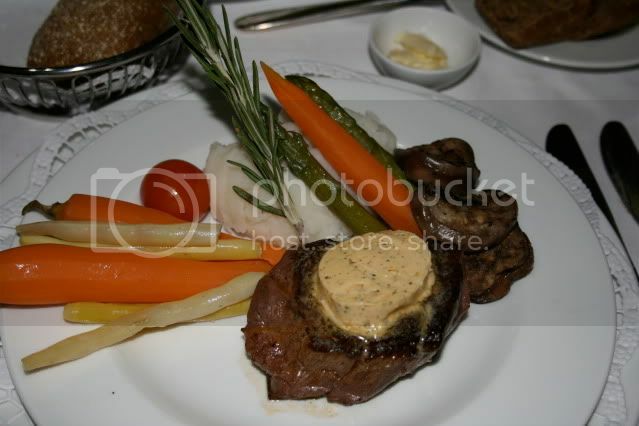 Feel free to submit your favorite airline meal pictures to matthew@upgrd.com and I will post those as well. Previous Article Pursue MMer Status on United or Dual Star Gold Status?